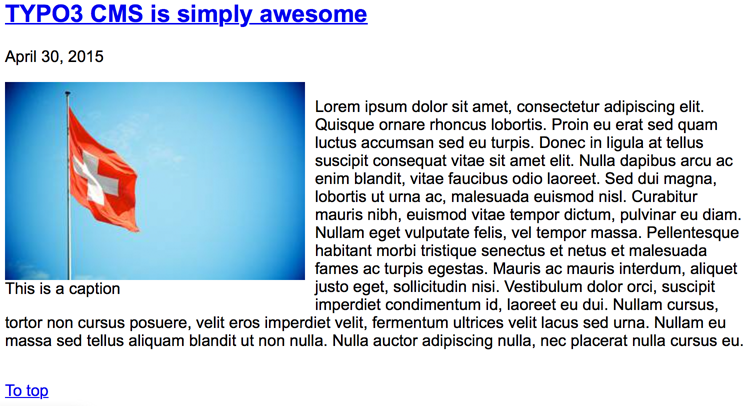 This content element allows to combine text and media elements, like images and/or movies. 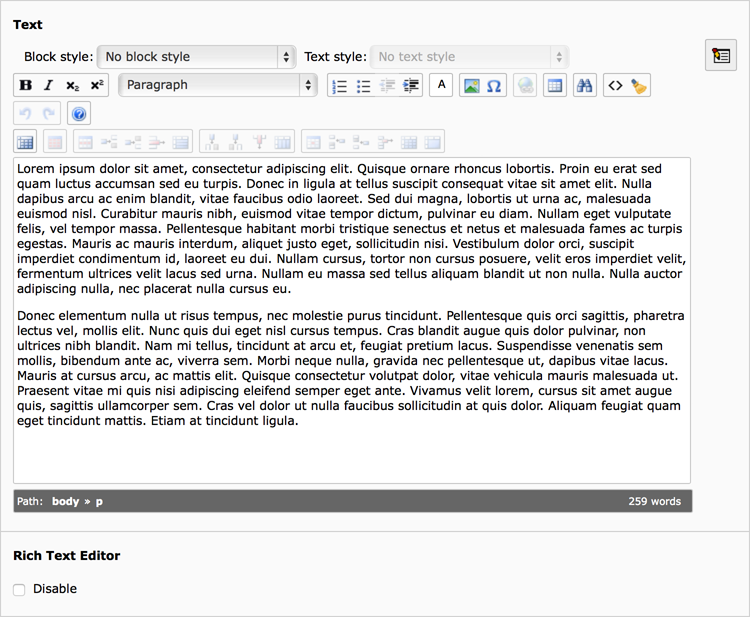 The text can be entered in the Rich Text Editor (RTE) on the "General" tab. The media elements can be added in the "Media" tab. 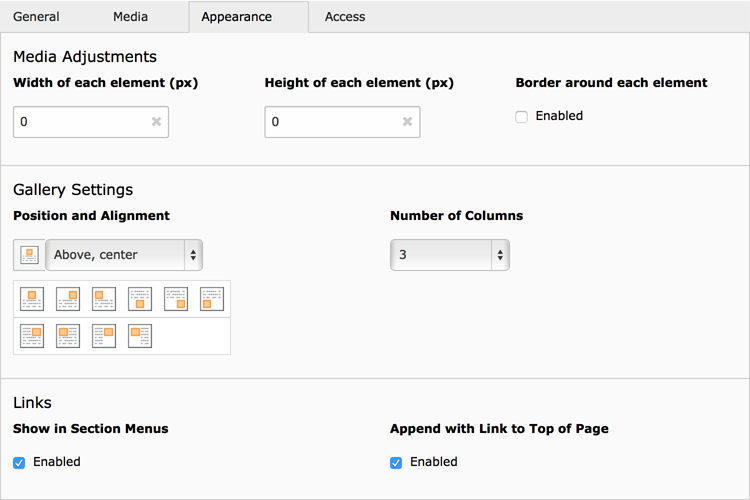 In this tab there is also the option to turn the "enlarge on click" behaviour on for images. Multiple images and movies are combined as a gallery, which can be configured using the "Appearance" tab. Options there are specific width or height for each element, if a border should be shown around each element, the position of the gallery in relation to the text and the amount of columns which should be used for the gallery. Frontend output, using one image aligned left of the text. The text is wrapping the image.